Rain for Rent is a leader in sprinkler irrigation rentals and sales. From mainline pressurizing pumps to mainline installation, we offer every part of a sprinkling system from gasket to pipe and sprinkler ends. Our sprinklers are tested, repaired and guaranteed to work. In addition to traditional lateral sprinkling, we offer replacement sprinkler packages for all pivot brands, lateral moves and wheel moves. Sprinkler systems are designed by Rain for Rent’s agricultural engineering department. Plant germination sprinkler systems create strong roots for seedlings. 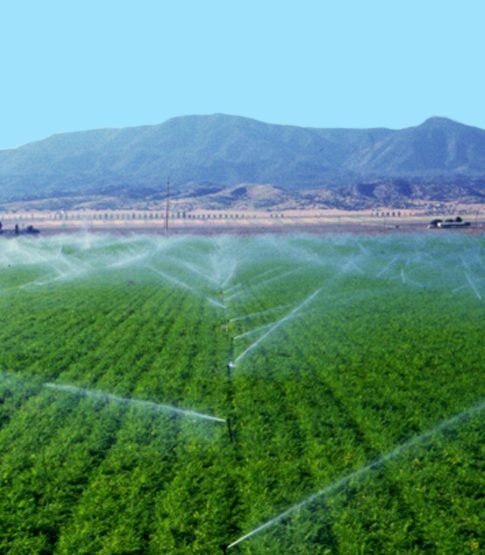 Frost control sprinkler systems to protect your crop in harsh conditions. Lateral and mainline sprinkler systems. Complete sprinkler systems including fittings, valves, pipe, gaskets and sprinkler heads.